The Beet Juice. High blood pressure increases the risk of problems much more dangerous health as a heart attack, kidney disease or stroke. Now, new research conducted by a team of scientists at Queen Mary University of London (UK) has concluded that drinking a glass of beet juice a day is enough to significantly reduce blood pressure in patients with hypertension. The work has been published in Hypertension Revita Report. 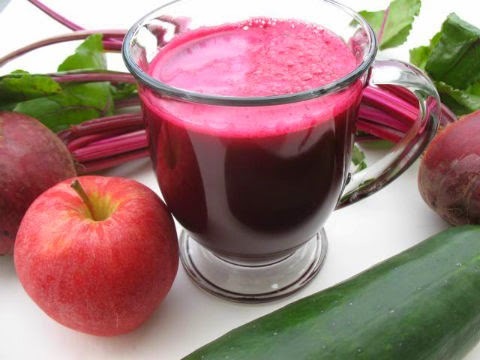 The key to this positive effect on blood pressure beets because this plant contains very high levels of inorganic nitrate in our body is converted to nitric oxide, causing relaxation and dilation of blood vessels. For the experiment, the researchers had the participation of 64 patients aged 18 to 65 years old; half of them taking prescribed medication for hypertension and the rest had not yet begun to medicate. Patients were randomized into two different groups: the first group received 250 ml glass of beet juice and the other group a placebo in the form of beet juice (no nitrates). After 4 weeks, subjects who had been drinking beet juice experienced reduced blood pressure of 8/4 mmHg (systolic / diastolic), making their values to a normal range. Also experienced an improvement of 20% in the dilation of blood vessels and arterial stiffness was reduced by 10%. In the placebo group, as expected, there was no change. After two weeks without taking beet juice, blood pressure of patients in the first group came back up to previous levels. "These findings suggest a key role of nitrate in the diet as a tool readily available and affordable, the adjuvant treatment of patients with hypertension treatment. This research has shown that a daily dose of inorganic nitrate can be as effective as medical intervention in reducing blood pressure and the best part is that we can get beet and other leafy greens, "said Amrita Ahluwalia, the co-author of the study.